Anna Mason's collection is based on personal taste - she is confident in it due to how many times she's been stopped when wearing her own designs. 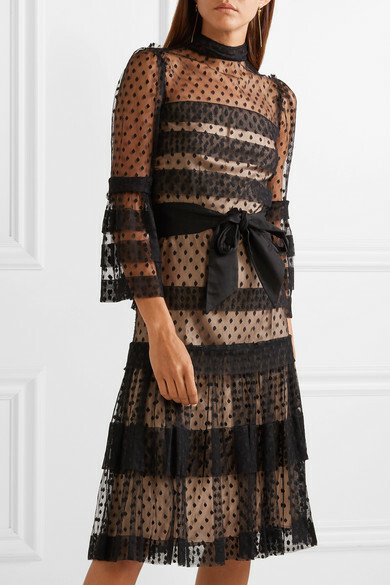 Part of the Fall '18 collection and first NET-A-PORTER drop, this tiered dress is made from sheer Swiss-dot tulle and detailed with bow ties at the waist. It comes with a beige silk slip to wear underneath, but you could also try it over a black bralette and high-rise briefs. Shown here with: Hunting Season Shoulder bag, Gianvito Rossi Sandals, Meadowlark Earrings.